Handlebar could break under rough riding conditions. The steering column / handlebar of the Sea-Doo Spark Personal Watercraft may have been incorrectly manufactured by the supplier and could break under rough riding conditions. The defect could cause the operator to lose balance and hit the personal watercraft, resulting in serious injuries or even death. 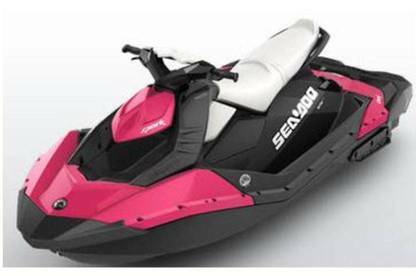 They were sold from authorised Sea-Doo Watercraft dealers from February 2014. Call an authorized BRP Sea-Doo Watercraft dealer for an appointment to have your watercraft repaired free of charge. For more information or assistance, contact your nearest authorised Sea-Doo watercraft dealer or visit www.seadoo.com.